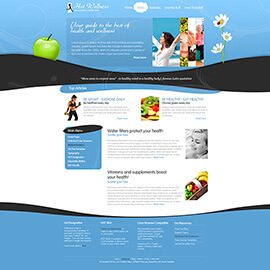 In the Health Templates category, you can find two groups of designs. In the first group, there are templates for businesses that help people to keep and improve health. 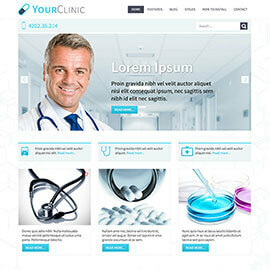 In the second group, there are templates for doctors and clinics. 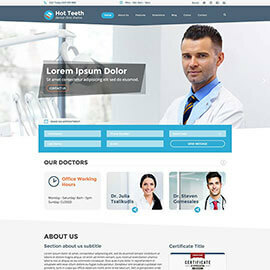 Hot Teeth is a responsive Joomla template dedicated to dentists and all businesses that offer dental services. 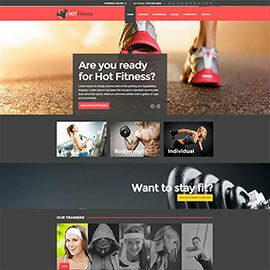 It includes a long home page with many elements appropriate for such kind of websites.